Diving into the swelling men’s grooming trend, Chanel is launching its first makeup line for guys, a three-product range, starting in South Korea on Sept. 1. The collection includes a tinted fluid, coming in four colors; a matte moisturizing lip balm, and four shades of eyebrow pencil. Chanel’s Boy franchise, which already counts products such as handbags and a perfume, is named after Boy Capel, the lover and muse of Gabrielle Chanel. “Just as Gabrielle Chanel borrowed elements from the men’s wardrobe to dress women, Chanel draws inspiration from the women’s world to write the vocabulary of a new personal aesthetic for men,” the company said in a statement. “Lines, colors, attitudes, gestures….There is no absolutely feminine or masculine prerequisite: Style alone defines the person we wish to be. 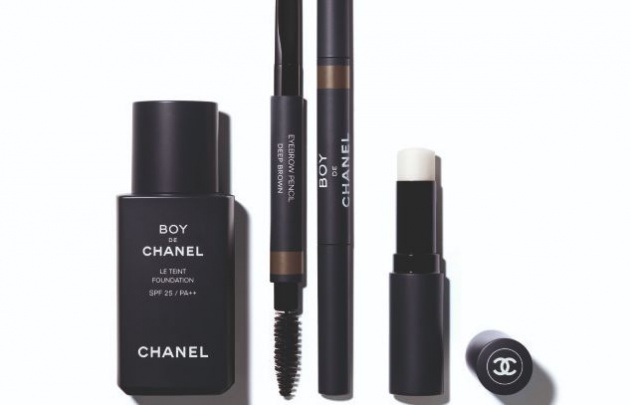 “By creating Boy de Chanel, its first makeup line for men, Chanel reaffirms the ever-changing codes of an unchanging vision: Beauty is not a matter of gender, it is a matter of style.” The collection will be rolled out to the rest of the world in November on the house’s e-commerce platforms and in January 2019 in Chanel’s boutiques.